The simple reality is that there is no advantage in waiting to have your surgery completed. You should consider cataract surgery as soon as your quality of life is diminished in any way as the result of a cataract condition. Cataract sufferers generally report difficulty with reading, driving or other activities that were once performed without vision worries. Recent surveys indicate that more than 98% of cataract patients have had their vision successfully improved with surgery. If you are over the age of 50, our Knoxville cataract surgeons recommend an appointment with an eye care professional every two years. If you are diagnosed with a cataract condition, Drs. 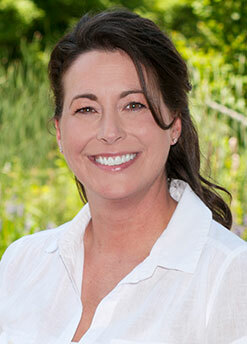 Campbell, Cunningham, Taylor & Haun are among the top cataract surgeons in Knoxville, Tennessee. A cataract is a clouding of the eye’s natural lens. When we look at something, light rays travel into our eye through the pupil and are focused through the lens onto the retina, a layer of light-sensitive cells at the back of the eye. The lens must be clear in order to focus light properly onto the retina. 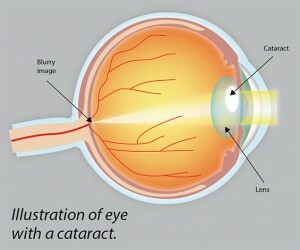 If the lens has become cloudy, this is called a cataract. Cataracts affect 21 million Americans age 40 and older. In many cases, cataracts begin to affect quality of life around age 55, though they have been found in much younger people as well. It can take many years before you notice any symptoms. Cataracts are extremely common and are part of the normal aging process. 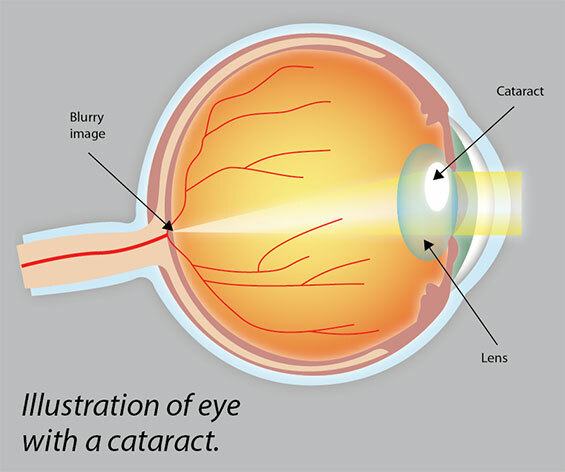 Therefore, you should be examined by an eye care professional as soon as cataracts begin to affect your vision. The best news is that the improvements are permanent—your cataracts won’t come back. Today’s technology allows Drs. Campbell, Cunningham, Taylor & Haun to treat the cataract condition and in some cases allowing for less dependence on glasses and contacts. 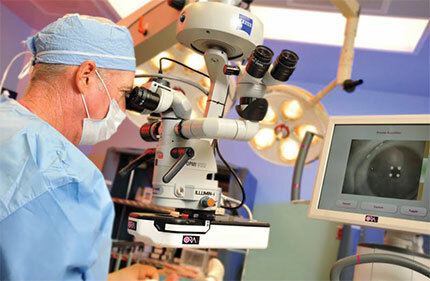 Make an appointment with top cataract surgeons in Knoxville, Tennessee, Drs. Campbell, Cunningham, Taylor, & Haun, to decide whether you are ready and which intraocular lens best meets your needs. A Variety of Lens Options to Fit Your Lifestyle. It is extremely important to choose a practice that offers state-of-the-art cataract procedures. Doing so will give you the best possible chance of achieving an optimal outcome for your specific visual needs. Drs. Campbell, Cunningham, Taylor, & Haun offer several Intraocular Lens (IOL) options for permanently treating cataracts. Different types of IOL’s are designed to meet individual eye health and lifestyle needs. Traditional IOL. Highly effective IOL designed to provide clearer vision at distance, but typically not near vision. Eyeglasses may be necessary to correct vision at all ranges, distance, mid and near. Crystalens® offers natural restoration of your eyes’ ability to focus. Its innovative design makes it possible to treat the cataract while providing quality vision at distance, mid and near with less dependency on glasses or contact lenses for daily and recreational activities. No other replacement lens comes closer to mirroring the natural focusing ability of the eye than Crystalens. Many Crystalens patients report vision enabling them to drive, operate a computer, participate in outside activities, put on make-up and read without glasses. Restor® and Tecnis® are designed to provide excellent reading vision and very good distance vision with less dependency on glasses or contacts. Toric® Designed to treat the cataract and correct astigmatism at the same time. The unique design of the Toric lens provides significantly improved distance vision and may reduce the need for corrective lenses. Drs. Campbell, Cunningham, Taylor & Haun will discuss which Intraocular Lens (IOL) will best meet your individual needs. We encourage you to ask your doctor or clinical staff questions about your procedure and Intraocular Lens options that are available. According to statistics, removal of a cataract and implantation of an Intraocular Lens has one of the highest success rates among all surgeries. However, like any surgery, it is important to know all the facts beforehand. Ask Drs. Campbell, Cunningham, Taylor, & Haun to explain the risk and benefits of cataract surgery. In most cases, injections or stitches are not required during the surgery—just a topical “eye drop” anesthesia. Thus, patients can count on a virtually pain-free procedure. After your surgery, you will need to follow your doctor’s instructions for follow-up visits. You will use eye drops as prescribed by your doctor. You can expect improved vision within a few days or weeks following cataract surgery. Recovery varies by individual and depends upon the underlying health of the eye, the ease of the surgery, the IOL that was selected and other factors. State-of-the-art ORA System [Click for more information] is now available in this area at Drs. Campbell, Cunningham, Taylor and Haun. ORA uses Wavefront-guided testing to provide real-time measurements of the eye during cataract surgery. This innovative “smart eye surgery” allows surgeons to instantly analyze results and make adjustments during the procedure for optimum results.